A truly collaborative new symphony is set for its world premiere this Friday night in Downtown Los Angeles. 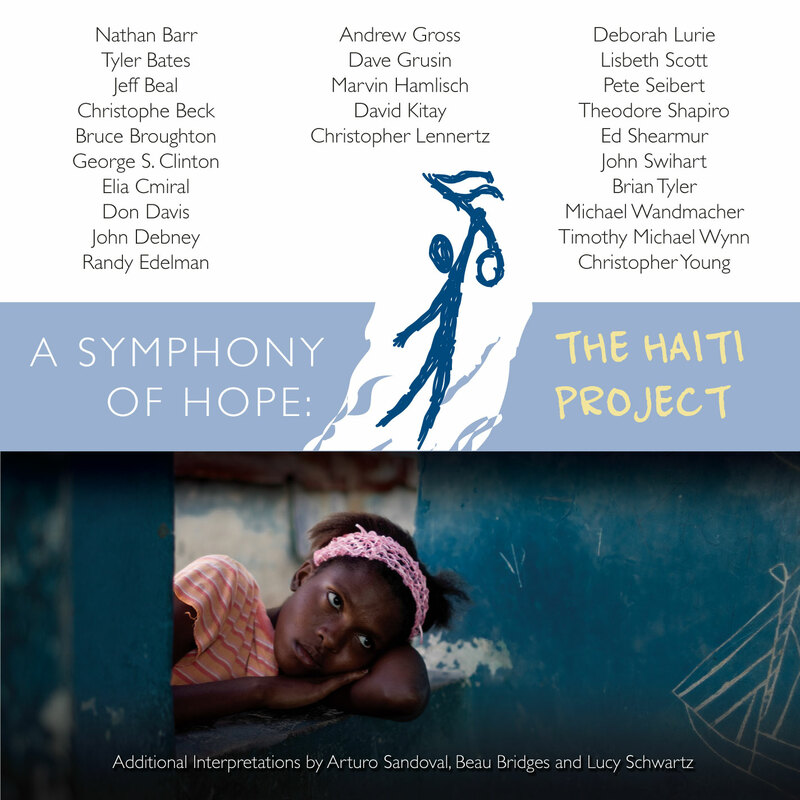 The work, called A Symphony of Hope: The Haiti Project, is the work of 25 different Hollywood composers and will be performed by an orchestra of movie studio musicians, conducted by Lucas Richman, August 3rd at California Plaza as part of the free concert series Grand Performances. The 8:00 p.m. performance will be preceded at 6:00 p.m. by a fundraising dinner and silent auction to benefit the victims of the January 2010 earthquake in Haiti. 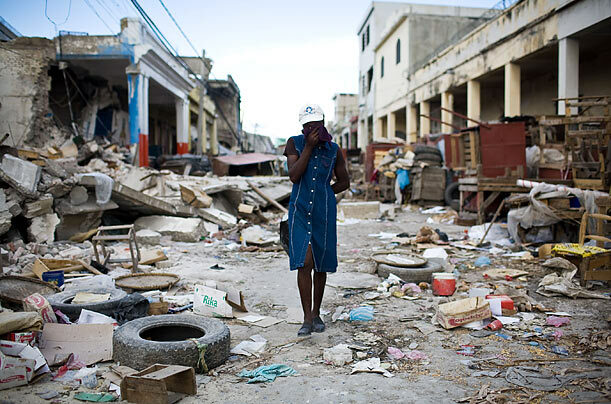 Today, more than two years after the 7.0-magnitude quake, life in Haiti is far from normal. 1.5 million residents were lost their homes in the aftermath; hundreds of thousands still live in tents or hastily-constructed mud huts with no running water or electricity. Access to basic medical care is limited to say nothing of the crumbling infrastructure and lack of education. 80% of Haiti’s population is unemployed and those who do work only make on average $100 a month. While a new symphony is not the cure for the myriad challenges facing the Haitian people as they continue to try to rebuild their lives, it is certainly a gesture–both symbolic and tangible–that their struggle hasn’t been forgotten. The work has already been recorded, but the first live performance will take place this Friday night. For more on the project, I talked to composer Christopher Lennertz, who initiated the project, and lead orchestrator Andrew Kinney. BL: Who are some of the composers featured in this project? BL: How did this project come about? Lennertz: I started the project after the earthquake because a long time family friend founded the charity Hands Together in Haiti which feeds 4,000 people daily and runs many schools, clinics, and agricultural projects. When the earthquake hit, it was days before we even knew that our dear friend Fr. Tom Hagan had survived. After he told me of the devastation, I felt compelled to act. BL: Occasionally with commissions of new works, it can be a struggle to meet deadlines. How difficult was it to wrangle 25 different composers for one piece! Lennertz: Very difficult, but because of the cause everyone was very generous with their time. We also had all the movements being written at the same time to keep things moving. BL: What did the music look like when you received it and started to assemble it for orchestration? Lennertz: It was in various states of detail, but all of the elements were there…it was just a matter of smoothing out some transitions. Remarkably, it plays seamlessly! BL: How collaborative was the orchestration process? Did you talk to some or all of the composers about what they had in mind? Were the instrumentation decisions completely up to you? Kinney: We were fortunate to have 15 orchestrators contribute their time and talent to this project. Each movement of the piece was orchestrated in sections, just as it was composed in sections. In many cases, we were able to get the composer’s usual orchestrator to handle his or her section, and work collaboratively with that composer in the way that they normally do. This helped preserve the uniqueness of each composer’s creative voice. BL: Was it difficult to present this as a unified piece, given it is the work of so many different creative minds? I imagine much of your task is to create a larger arc that spans the full piece? Kinney: As long as every orchestrator wrote for the same pre-determined orchestra, the continuity between sections was not a big problem, at least from an orchestrational standpoint. The continuity of the composition – the overall arc of the piece – was a far greater challenge, but one that I believe was handled brilliantly by the composers. Christopher Lennertz provided great leadership in conceptualizing the piece, guiding the composers as they “whispered down the alley” to each other, and ultimately devising ways to smooth a few transitions. Everyone rose to the task, and the product speaks for itself! BL: What does it mean to you to be involved in this project and by extension this humanitarian cause? Lennertz: This project was such a huge undertaking and along the way, people have been so generous with their time and talents. Just watching that has been so inspirational and rewarding. I hope that this event raises even more awareness about the needs of the Haitian people and that other orchestras around the world will decide to program the Symphony in order to continue to raise money for this country in need. A Symphony of Hope: The Haiti Project receives its world premiere performance Friday, August 3rd, at 8:00 p.m. as part of the free outdoor series Grand Performances at California Plaza. Yeah when you end up devoting your life to pincudrog content that nobody wants you can either blame the world or blame yourself. This guy blames the world, seems to think he’s entitled to acclaim because he’s smart, and assumes that if he’s marginalized it’s because the public has the values of Stalin and Hitler.When I was making pop music and nobody wanted it, I blamed myself, recognized my own limits to make money through that medium, and stopped jerking myself off. The problem was not the values of the world. The problem was, as Samuel Johnson would have said if he were a contemporary music critic, your music is both good and original. But the part that is good is not original and the part that is original is not good. Hey Michael, I have a question:Can snemooe actually set up the store’ on their own site, instead of linking to LQ (i.e. as a widget within a site)? I couldn’t see that described on your site, but maybe it was there and I didn’t see it. If that’s the case, then it’s a very cool concept. All of the above would benefit from a group frtuaee and you wouldn\’t lose anything. The results of a search would be cleaner by using less screen real estate and showing more results. It would also allow a client to drill down for any alternate versions.